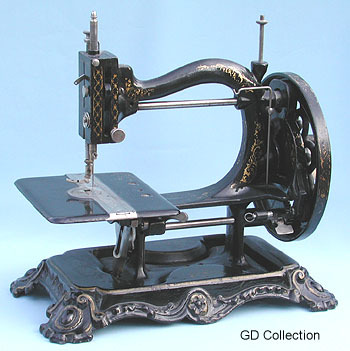 Antique sewing machine - Wanzer A. Manufactured in Canada by the Wanzer Company, this particular model "A" machine post dates 1875. This fact can be ascertained by noting the straight race shuttle mechanism which was patented in that year.